Create your own story by making choices carefully! 🕵️‍♀️ Detective Love – Story Games with Choices 🕵️‍♀️ is a brand new love story dating game with many interesting episodes and crime stories! Help our main heroine prove that she is a true detective, capable of crime scenes investigation and solving mystery murders! 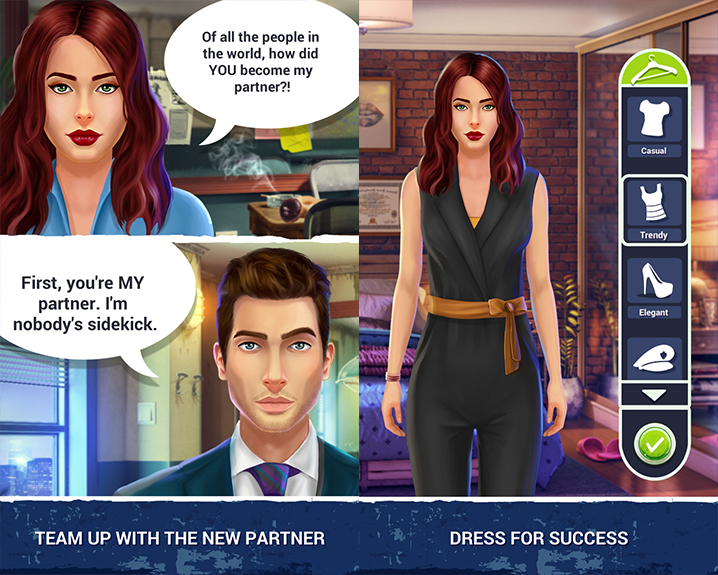 Find time for love in your busy schedule and choose life partner in these virtual episode story games! Choose your own ending to these detective stories free – join a murder investigation, solve mystery cases and interrogate witnesses and suspects! 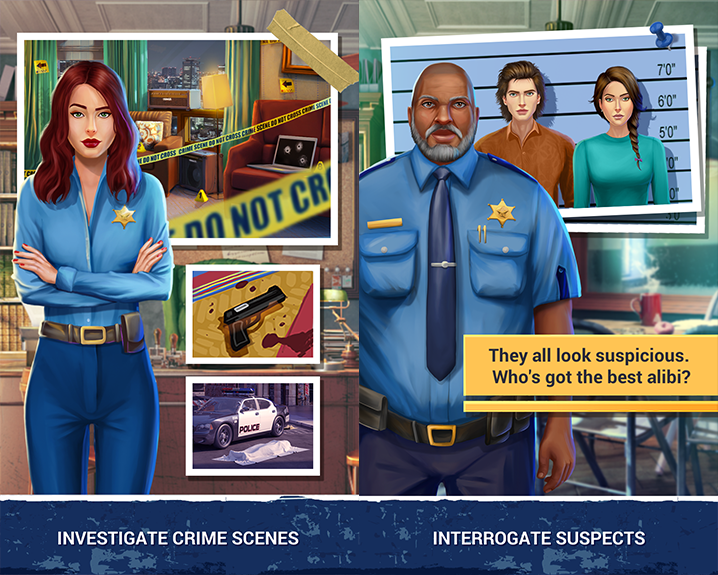 Enter the mind of the criminal behind the mysterious murder – while you play as a policewoman, solve crimes and mysteries in the best love story games with chapters and episodes! Choose your story today! 🔎DO SERIOUS DETECTIVE WORK: Hey, private eyes, do you have what it takes to catch the bad guys? Investigate clues, follow leads and interrogate suspects and murder witnesses to get to the truth! 🕵️‍♀️ READ INTERACTIVE STORIES: Play simulation life games and enjoy interactive storytelling! 🔎 ESCAPE DANGEROUS SITUATIONS: Negotiate with criminals, dodge a bullet, protect your partner! 🕵️‍♀️ SOLVE CRIMINAL CASES: Discover who killed a young guitar player – catch the perpetrators and protect case witnesses! 🔎 FIND YOUR TRUE LOVE: A handsome detective or a romantic artist – who will be your prince charming in the end? 🕵️‍♀️ DRESS FOR SUCCESS: Casual, trendy or chic – play dress up games and find your favorite style! 🔎 WRITE YOUR OWN STORY: Your choice matters – first, select carefully and then choose your ending! DETECTIVE LOVE – STORY GAMES WITH CHOICES IN ENGLISH! 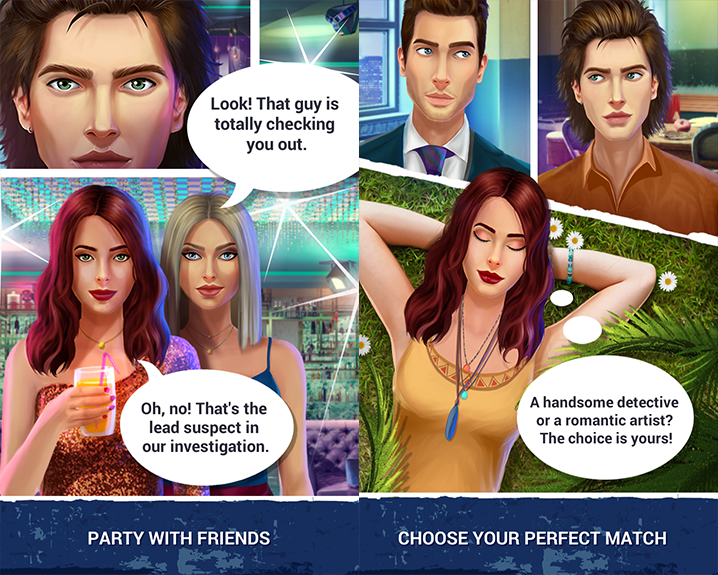 🕵️‍♀️ Detective Love – Story Games with Choices 🕵️‍♀️ is a perfect romantic love story for girls who love kissing games and dating apps! It is also a mysterious action game for boys who enjoy crime solving games and crime stories! The best interactive detective stories for all those who enjoy reading mystery fiction combined with romantic love stories! Help a beautiful investigator solve crimes and write your story with a happy ending by making the right life choices! Open our story book, choose an episode interactive and start playing the best love story simulation games for girls! While it may seem like a simple love story, it is also a mystery game with episodes! As a result, you’ll have the most enchanting mystery love games on your device! Finally, play the best Midva games with choices and chapters and enjoy!